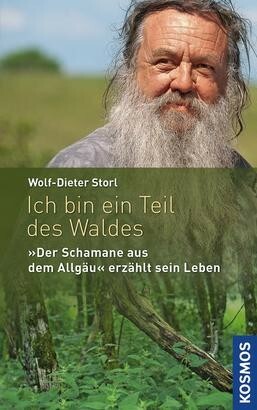 Product information "Ich bin ein Teil des Waldes"
For Wolf Dieter Storl nature and plants have always been of great significance. It started in his childhood, where he spent hours roaming the woods behind his home. It continued with studies in biology, followed by a scientific career. At some point Storl was no longer satisfied with academic knowledge, so he got out. He walks with shamans of the Cheyenne, meditates with the Sadhus Shivas in India, works with Swiss mountain farmers and is a gardener of an anthroposophic country commune. Everywhere along his way he meets people, who give him access to another world - a world in which nature reveals its soul and amazing healing powers to mankind. With his life story Wolf-Dieter Storl passes on his deep understanding of nature and ancient plant knowledge. Through his stories and plant descriptions we see nature with different eyes. What do I harvest when - what helps when?